We deal with all type of Copper Networking Products. Solid CableUTP,Cat.6,23AWG, 4P, Horizantal Cable, Solid Copper Stranded CableUTP,Cat.6,7x31AWG,4P,Patch Cable,Stranded Copper. 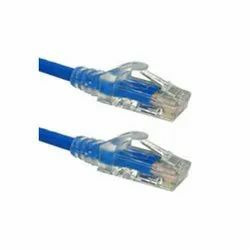 Bestnet Category 6 patch cables feature molded snagless boots. Wired to specification TIA-568 B, 350MHz, CATEGORY 6. Manufactured with 50 micron gold flash plated modular RJ-45 connectors. Offered in seven different colors for easy port or link identification. Provides extra security around connector via snagless molded-strain relief. Maximize your network speed with higher bandwidth. Performance tested to exceed 250MHz. Ensures clean and clear transmissions with 50-micron, gold-plated connectors. 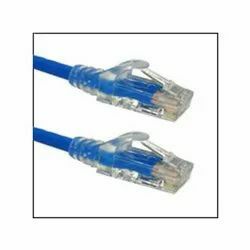 Bestnet CAT 6 shielded patch cord shall meet or exceed applicable electrical performance standards for all parameters up to 400 MHz. The patch cord shall be a 23 AWG, FTP construction with solid center conductors to provide greater flex-life. The patch cords shall be available in standard 3, 5, 7, 10, 15, 20 foot & Custom lengths. Perfect in conjunction with 10 and 1000 Base-T networks. 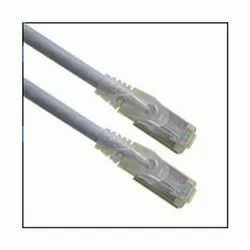 Bestnet CAT 5e shielded patch cord shall meet or exceed applicable electrical performance standards for all parameters up to 100 MHz. The patch cord shall be a 25 AWG, FTP construction with solid center conductors to provide greater flex-life. The patch cords shall be available in standard 3, 5, 7, 10, 15, 20 foot & Custom lengths. 50-micron gold plated connectors to insure a clean and clear transmission . 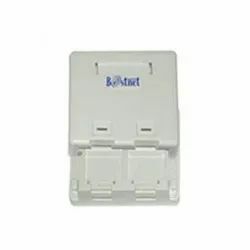 Bestnet RJ-45 10 pin 10 Contact Plugs are certified which are necessary for all ethernet connectivity. It is ideal for ethernet / fast ethernet Network Applications. Housing: Polycarbonate(PC) UL940V-0 or UL940HB. Color: Transparent Or other color. Contact blade: Phosphor bronze gold plating over nickel. Plate 3u'/6u'/15u'/30u'/50u'min. hard gold on top of 100u' nickel plated. Conductor: Stranded & Solid Wire, 24AWG, 26AWG. 2.Our electroplating specifications is based on 100 micro inches nickel underplated, and selective gold plated in contact area. Gold thickness is according to the customer's requirement. using Material:Polycarbonate (PC) UL 94V-0 Flammability Rating. Cable to plug tensile strength: 7.7Kg Min. Bestnet Angular faceplates gives your network a facelift providing a fresh look to match today’s technologies for a perfect blend into your home or office. The faceplates are designed to be used with a Bestnet Key Stone Jack or can mount any standard Keystone jack to meet your specific needs. Its durable finish masks minor scuffs that may occur during daily usage. Bestnet modular faceplates gives your network a facelift providing a fresh look to match today’s technologies for a perfect blend into your home or office. The faceplates are designed to be used with a Bestnet Key Stone Jack or can mount any standard Keystone jack to meet your specific needs. Its durable finish masks minor scuffs that may occur during daily usage. 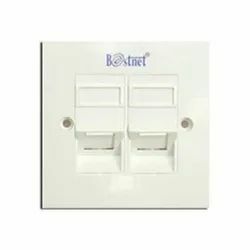 Bestnet recommends that a Dual Face Plate be used in all initial installations to allow for future expansion. 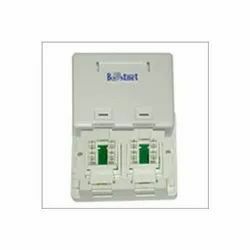 Bestnet 50 port Voice Patch Panel is designed to provide a cost effective and simple way to feed PBX or other simple voice circuits into a structured cabling system. 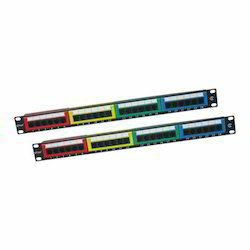 Unlike standard Category 5e patch panels which typically have a maximum capacity of 24 ports the Voice Patch panel provides 50 voice ports in a compact 1U high format. Each port is clearly identified front and rear is capable of carrying up to three voice pairs. Functional earth facilities where required e.g. Earth Loop Recall, can be simply catered for by commoning any single pair across the panel. Each panel is supplied with a fixing and earthing kit. Individual ports are numbered for identification. Standard Category 5 patch cords are used to connect the voice circuits into the structured cabling system. No more hookup wire required, just standard patch cables. RJ-45 Sockets8 position 8 contact socket. Gold plated contacts. Bestnet offers modular patch panels for termination of horizontal and backbone cabling. 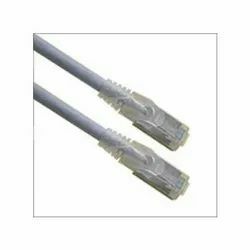 It has a robust construction and excellent cable management with angled design that increases bend radius 110 IDC Termination, allowing wires between 22 - 26 AWG sizes it surpasses Enhanced Cat5 requirements of EIA/TIA. The RJ-45 module jacks and the Insulation Displacement Connectors (IDC) mounted on the Printed circuit board give the design an unmatched modularity and elegance. 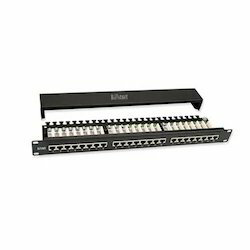 Meet or Exceed TIA/EIA-568-B.2 CAT 5E connecting hardware specification. 110E & 110K type IDC termination, allowing connection with 22 to 26 AWG wires. 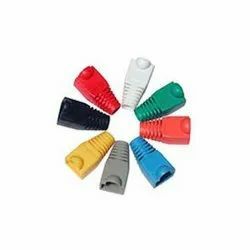 RJ45 (8P8C) T568A/T568B colour coding termination. 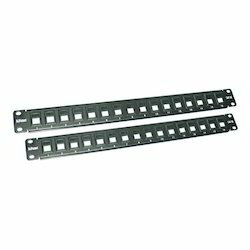 Bestnet Descrete type UTP patch panel is designed for your customized cabling solution. 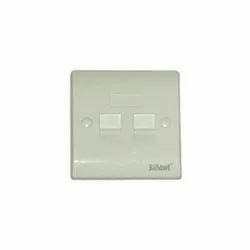 Based on your requirements, you can select your preferred keystone connectors and snap them into the panel as required. Modular design, accommodate up to 16 snap-on keystone-type jacks in 1U.Designed for shielded and unshielded connectors. Different jacks may be mixed on the same panel. Metal panel with powder coated extrusion. Printed signification and port number. 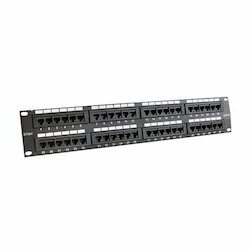 Panels are available in 16 port with increments using 1U size. Bestnet CAT-6 patch panels shuttered type offered with 8 contact inserts wired to 110 terminal blocks meets or exceeds all requirements set forth in telecommunications TIA/EIA standard EIA/TIA – 568 b.2-1 Category 6. when used with UTP cabling rated to CAT 6 specifications. 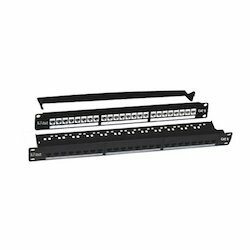 Bestnet CAT-6 patch panels offered with 8 contact inserts wired to 110 terminal blocks meets or exceeds all requirements set forth in telecommunications TIA/EIA standard EIA/TIA - 568 B.2-1 Category 6. when used with UTP cabling rated to CAT 6 specifications. Bestnet Category 5e Shielded Modular Patch Panels provide a fully shielded design for cabling applications using 4-pair screened twisted-pair cables. Bestnet shielded 110 patch panels are high-density panels, with a removable cover for EMI and RFI protection and allows for easy access to 110 terminations. Bestnet shielded panels are engineered to exceed TIA/EIA-568-B.2 component level specifications. Rear cover with wire management bar to control the cables bending radius and provide excellent strain relief. 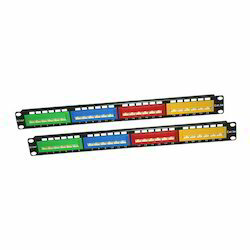 Bestnet CAT-6 patch panels shuttered type offered with 8 contact inserts wired to 110 terminal blocks meets or exceeds all requirements set forth in telecommunications TIA/EIA standard EIA/TIA - 568 b.2-1 Category 6. when used with UTP cabling rated to CAT 6 specifications. LAN Tester is a special tool with powerful function to prevent and solve installation problems. It is applicable to test of various voice or data links, test of shielded pair, unshielded pair or twisted pair, and test of user jumper. With special adapters, it is also applicable to test of telephone line and coaxial cable. Particularly, it could report test result in voice directly. 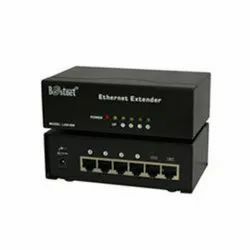 Bestnet Ethernet Extender is made by new technology could make 10/100M Ethernet (Including ADSL, HFC, FTTB, +LAN connect and so on) as 10M full-duplex speed to transmission single up to 300 meters above, when used as repeater up to 600 meters, support power over Ethernet and multiple-tandem, The basic principle is that through the signal shaping, increased sensitivity to realize the distance extension of its Voltage and waveform completely in line with standard of Ethernet, will not harm the network, Please be assured that used in the five or UTP unshielded cable. Particular LRE (Long-Reacher Ethernet) with exclusive HIC design. Plug and play, no need to install any software of drivers. The ethernet extender transmission distance can up to 300m. Built-in low radiant and surge-proof power supply, super-low power consumption, super low heat. LED indicates activith,link,confiction and power state of ports. High integration of hardware circuit. Double power source hot standby, simple design of circuit, reliable performance. 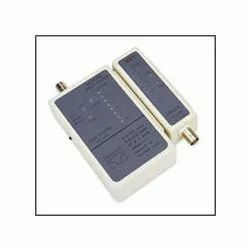 Compatible with 10BASE-T / IEEE802.3 extender unit. According with EMC industry condition. 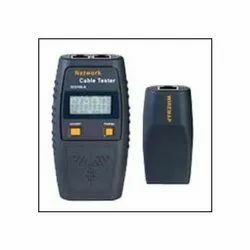 Bestnet carries a line of Network LAN tester provide you with an economical way to test Cables & Networks. 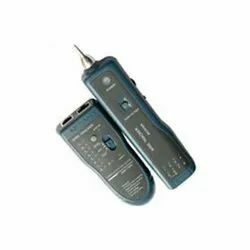 These Ethernet Testers are specially designed to test the full range of the ever-expanding Ethernet, Lan Data and cable configurations. 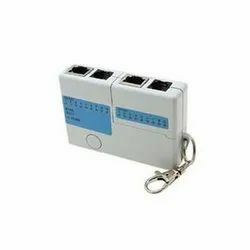 These ethernet Lan Testers is a must for anyone in the cabling industry. 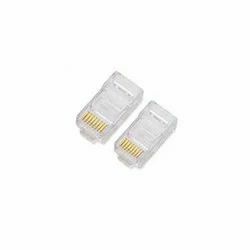 It is capable to test unshielded pair and shielded pair (UTP/FTP) of RJ45 port; with special adapters. it is capable to test RJ 11 port. telephone line (TEL). One person is enough to complete link continuity test. It is capable to detect wiring troubles such as open circuit, short-circuit and dislocation. It is simple and easy use and the test result is clear at a glance with the aid of LCD display of wiring diagram. Voice report of test result makes test work convenient and interesting (only Model “A” unit). It is portable with long service battery (reserve for 50 hours). It is capable to locate cable with 8 far-end passive test port. (Identification Number ID 1 – ID 8 is used for quick check of cable far-ends respectively). Single chip micro processor software watchdog design is reliable in operation. It has low battery voltage alarm and display. Location of Wiring Sequence and Cable Trouble: Detection of trouble such as open circuit. short-circuit and dislocation. Location of Cable Link Route: Maximum 8 far-end identification recognizers are used in test and location of cable links (ID1 - ID8). Frequency Impedance Min Next Min SRL Max. Atten. The CAT 5e unshielded twisted pair cable finds its application in the Horizontal Cabling (HC) System or in the Backbone Cabling System. In the horizontal system, it functions as a connecting medium between the horizontal cross - connect and the wall outlet. In the backbone cabling system, it functions as a connecting medium between horizontal cross connect and main cross connect and/or HC to intermediate cross connect. Bestnet UTP cable is designed to exceed the performance requirements of EIA/TIA 568A/B, ISO/IEC 11801 and has obtained an independent UL approval for the same. It is supplied in convenient 305m box. 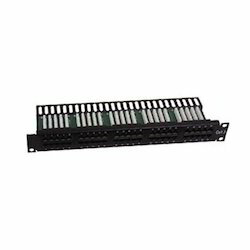 We deals in patch panels like cat 5e 24 port patch panel, cat 5e stp 24 port patch panel, cat 6 24 port patch panel with shutter, cat 6 24 port shielded patch panel, cat 6 48 port patch panel, cat 3 50 pair patch panel for voice, cat 5e 24 port angled patch panel, cat 6 24 port patch panel with coloured bezel & 16 port blank patch panel. 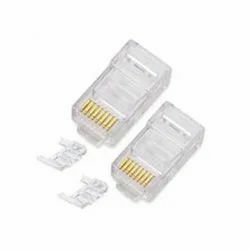 The Bestnet Snagless Boot for CAT5/CAT5E/CAT6 Cable with Strain Relief giveS a clear visual indication of the structure inter connections from patch panels and wall outlets to workstations. Available in the following colours: Beige, Red, Grey, Blue, Black, Yellow, Orange Green. 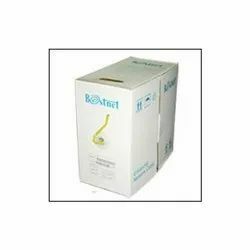 Bestnet Network wire tracker provide you with an economical way to trace Cables on Networks. These wire tester are specially designed to track cables on full range of the ever-expanding Ethernet, These wire Testers is a must for anyone in the cabling industry. 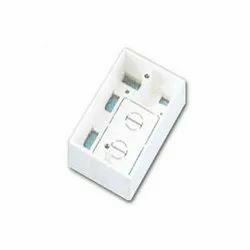 Bestnet UTP Surface Mount Box with IO, the 'perfect fit' connector holder design helps easy snapin and removal of the keystone jacks. these jacks are developed with a proprietary printed circuit board technology which results in performance to meet EIA/TIA 568 category 5 Enhanced / Cat 6 specifications. It has flame retardant Plastic body 'UL-94V-0 rated'. The UTP Surface Mount Box with IO comes in 1 & 2 port designs. 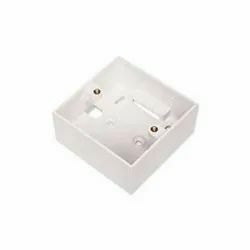 The Surface mount box provides protection of patch cord connection points & gives the installation an additional flexibility for locations as open office environments, warehouses, lobbies etc..
Can be used in commercial or home cabling environments for use with data & voice. UL94V -0 fire retardant plastic. Removing the "knock-out" in the bottom of the box. Helps to fit a non-Bestnet connector in the box. Bestnet UTP Surface Mount Box without IO, the ‘perfect fit’ connector holder design helps easy snapin and removal of the keystone jacks. It has flame retardant Plastic body ‘UL-94V-0 rated’. The UTP Surface Mount Box with IO comes in 1 & 2 port designs. 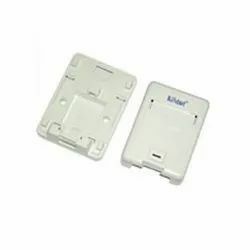 The Surface mount box provides protection of patch cord connection points & gives the installation an additional flexibility for locations as open office environments, warehouses, lobbies etc. Removing the “knock-out” in the bottom of the box. 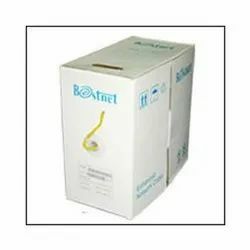 Bestnet Back Boxes are manufactured in bright white ABS. The ABS material allows the box to be less brittle than some electrical type back boxes, making installation easier. Also, providing ease of installation and full flexibility are the cable entry knockouts provided on all sides and in the base. The back box is designed to mount to a wall, floor or other flat surface. The total Box is made out of ABS (Acrylonitrile Butadiene strene). Large Knock out's - open to required shape & size of entries. Tailor made holes suitable for self tapping aluminum screw's for fixing. Better strength is ensured because it is unbreakable. Simple & Quick to install with the use of built in accessories. 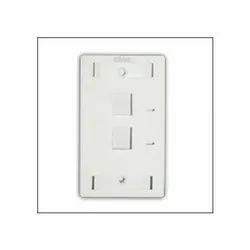 It is designed and developed by employing scientific electric circuit that features reliable quality, stable performance, complete functions and good appearance. It helps a lot in installing and maintaining the network. 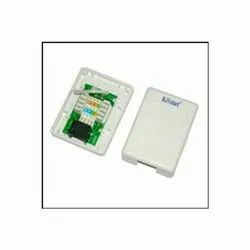 It is capable of examing promptly the connection conditions of broadband network cable RJ45, telephone cable RJ11. Multi-functional capable of testing various network cables. Low consumption of electricity, powered by 1 x 9V battery. With key ring that will be more convenient to carry wherever you go. Test status display and power indicator. Easy to use, insert the two ends of the to-be-tested cable into the corresponding interface of the main tester and the remote terminal tester respectively, and then press the red button on the major test board, the cable tester will examine the cable. Can test correspondingly double-twisted cables1, 2, 3, 4, 5, 6, 7, 8 and G, meanwhile, can judge wrong connection, short circuit and open circuit. Test of double-twisted cables: switch on the power. (S is slow automatic grade, M is manual.) Put cables into both main tester and remote tester. The lights of the main tester will turn on sequentially from 1 to G.
If one cable, for example, cable No. 3 is open circuited, the two No. 3 lights of the main tester and remote tester will not turn on. If two ends of the cable is disordered, for example No. 2 and No.